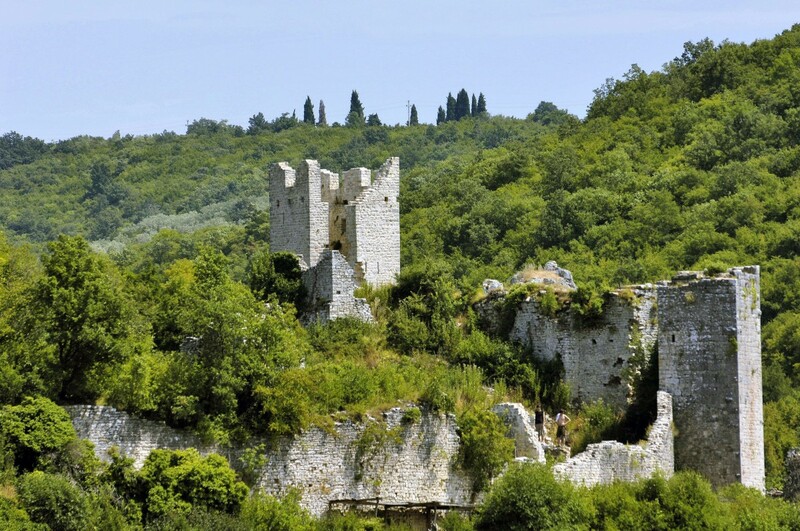 The remains of Dvigrad (Duecastelli), a medieval city abandoned in the 17th century, are located 23 km from Rovinj, at the foot of Kanfanar. The remains of St. Sophia's Church (Crkva Sv. Sofije) are quite impressive, as is the city structure surrounded by walls.